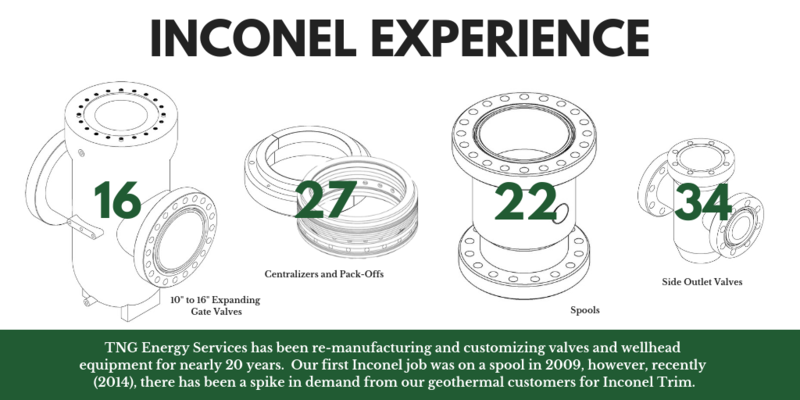 TNG Energy Services has been re-manufacturing and customizing valves and wellhead equipment for nearly 20 years. Our first Inconel cladding job was on a Spool for a customer based in the Salton Sea back in 2009. However, understanding the value of Inconel cladding as a trim option for wellhead components and the demand for such anti-corrosion, fit-for-purpose customization has rapidly increased in the past 4 years. 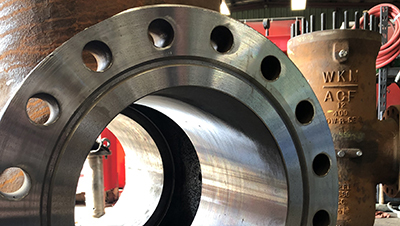 In that time, TNG Energy Services has led the way in re-manufacturing and converting non-Inconel valves, spools, pack-offs, and centralizers to Inconel. Here is a snapshot of our recent experience. Contact us today to learn how we can help you convert, repair or re-manufacture your corroded or leaking wellhead equipment.